Works fine in Chrome. I thought I was going crazy. 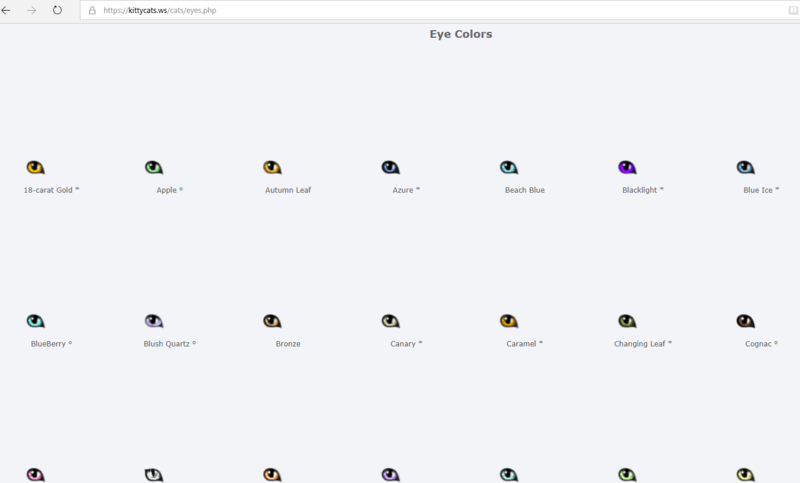 RE: "our cats - eyes" shows only one eye? The CSS clip attribute is deprecated. Chrome ignores it. Edge does not. So Edge clips off the right edge of the image, as it was told to do. If I go into Developer mode on Edge and disable the clip rectangle, the eyes appear as they should. I could probably come up with a correct clip attribute, but just removing it is probably exactly the same thing. Someone with access will need to remove the clip attribute from the CSS for these images.